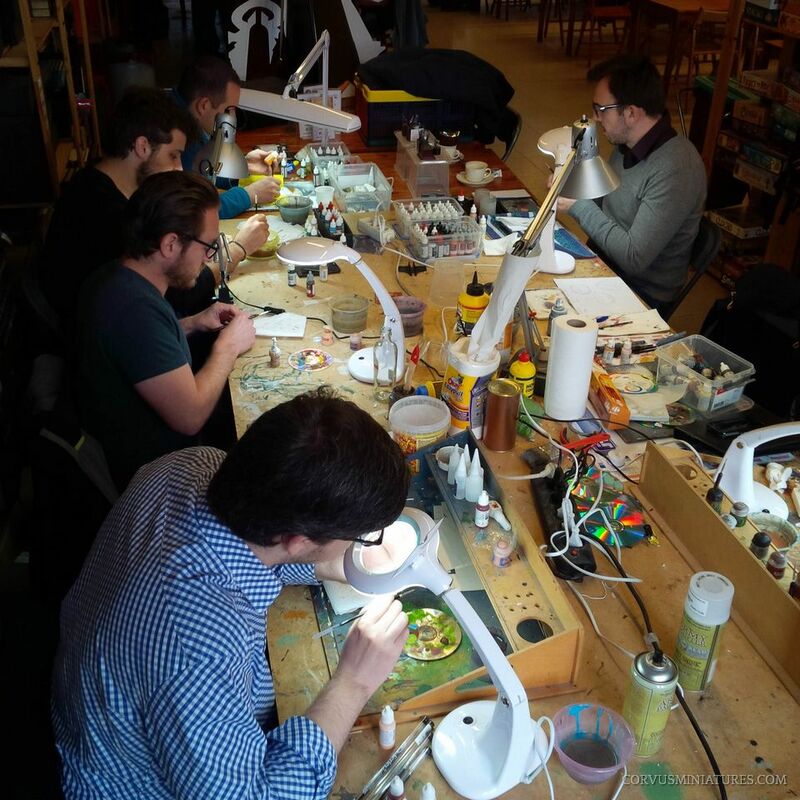 A while ago I was asked to give a painting workshop to a group of Lord of the Rings gamers (known as The Fellowship of the Miniatures). 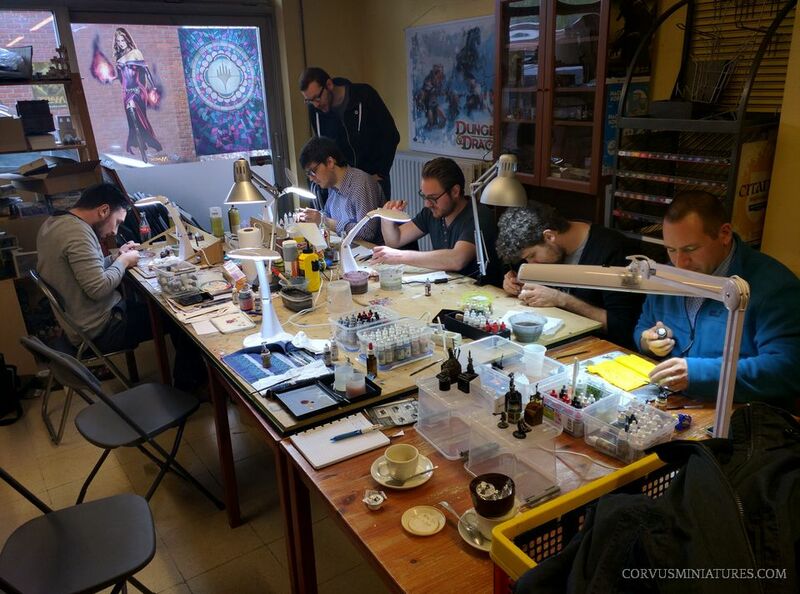 I was very happy to agree this of course, so last Saturday I ventured to the Oberonn games store in Hasselt for a day of painting. 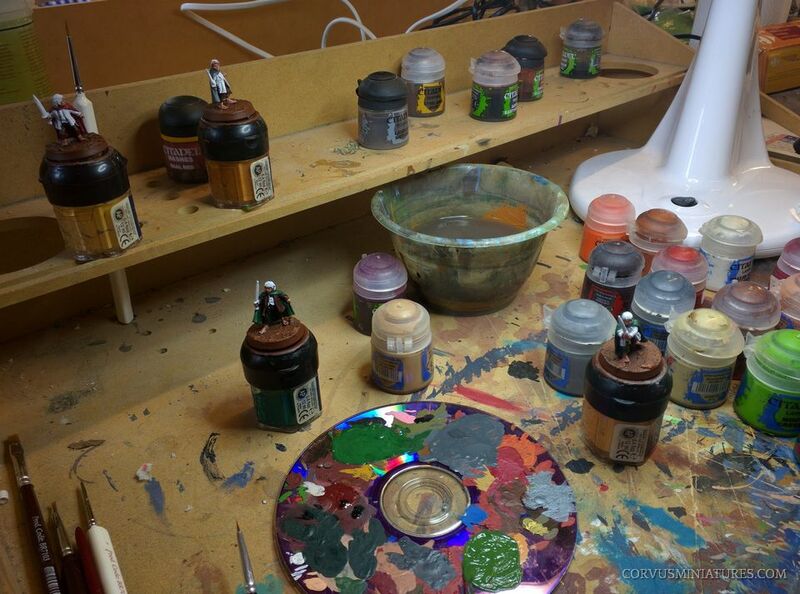 I started out with a general introduction, which paints and tools I use, how I prepare and prime my miniatures, a bit of color theory, etc. 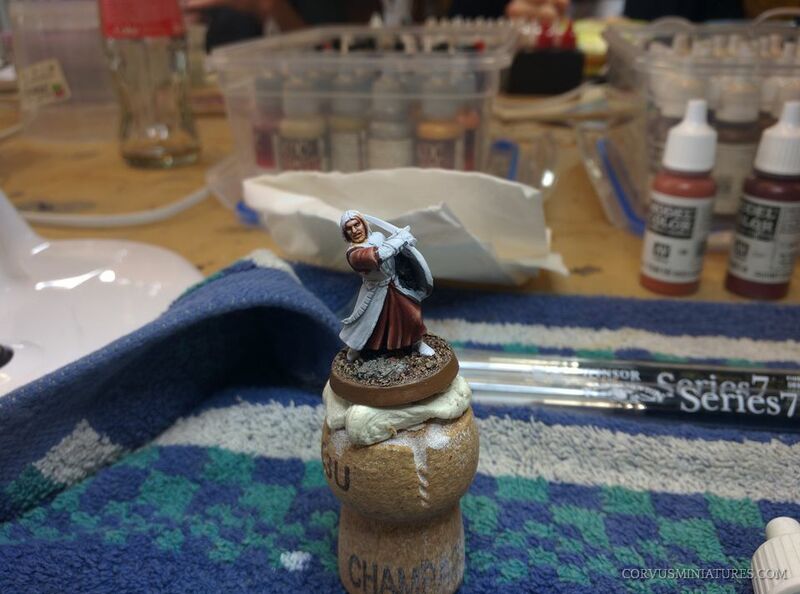 After that we moved on to the most important part of our miniature: the face! 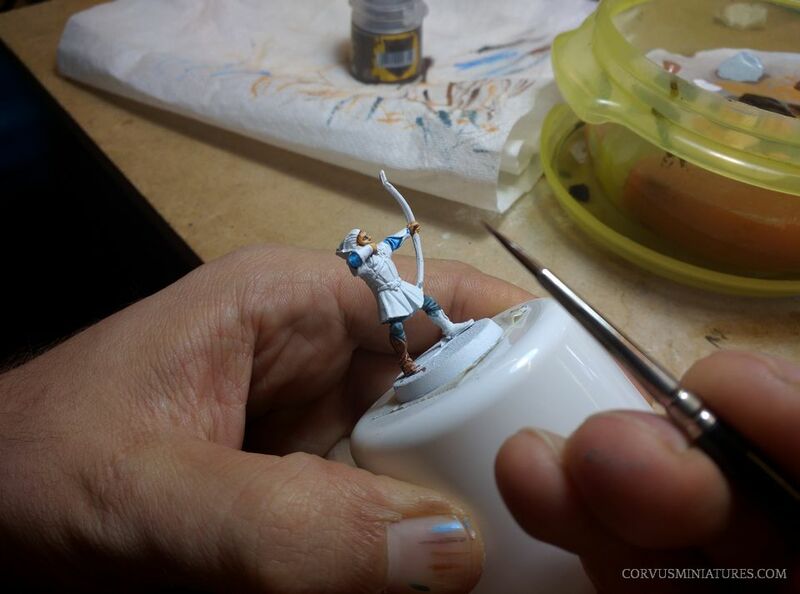 Everyone had prepared one LotR miniature from a starter sprue, not the best quality, but good to do some practice on. After lunch we moved on to finishing the fleshtones and painting the eyes. 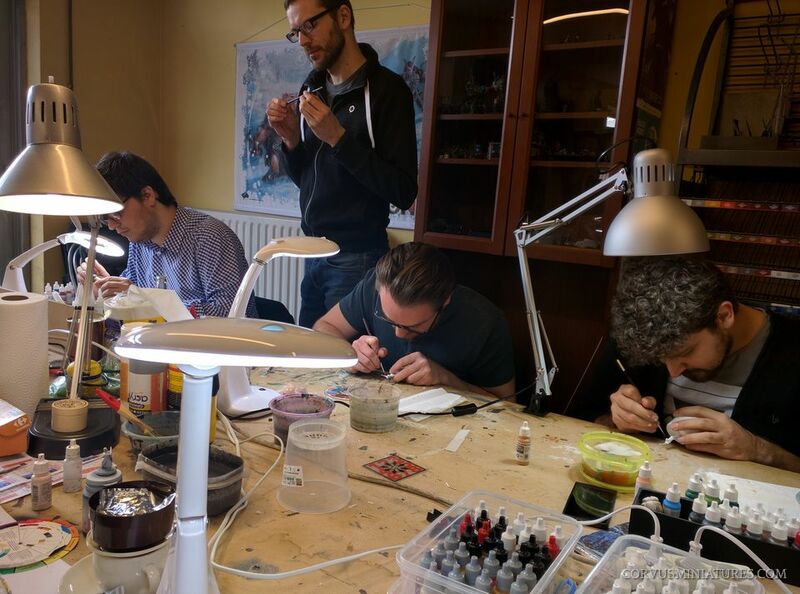 After that everyone continued with a surface of their choice, applying the basic shading and highlighting techniques I explained to them earlier. 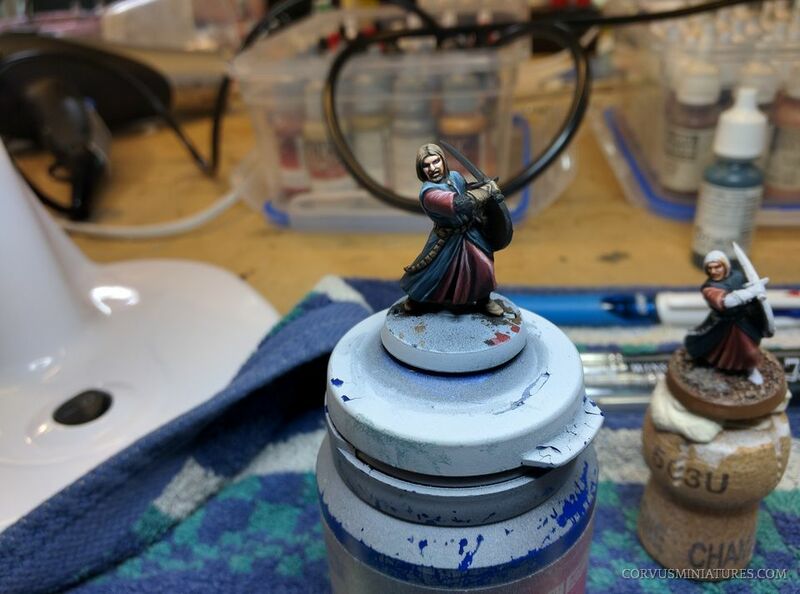 We spent the afternoon together painting, in the end I managed to almost completely finish my Boromir, while helping some other people now and then. 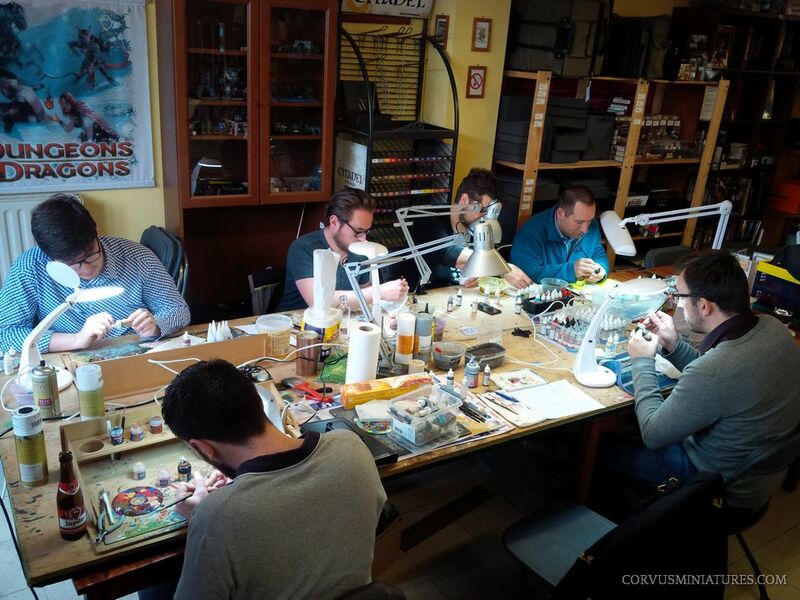 This was the first time I gave such a workshop but I think it worked very well. 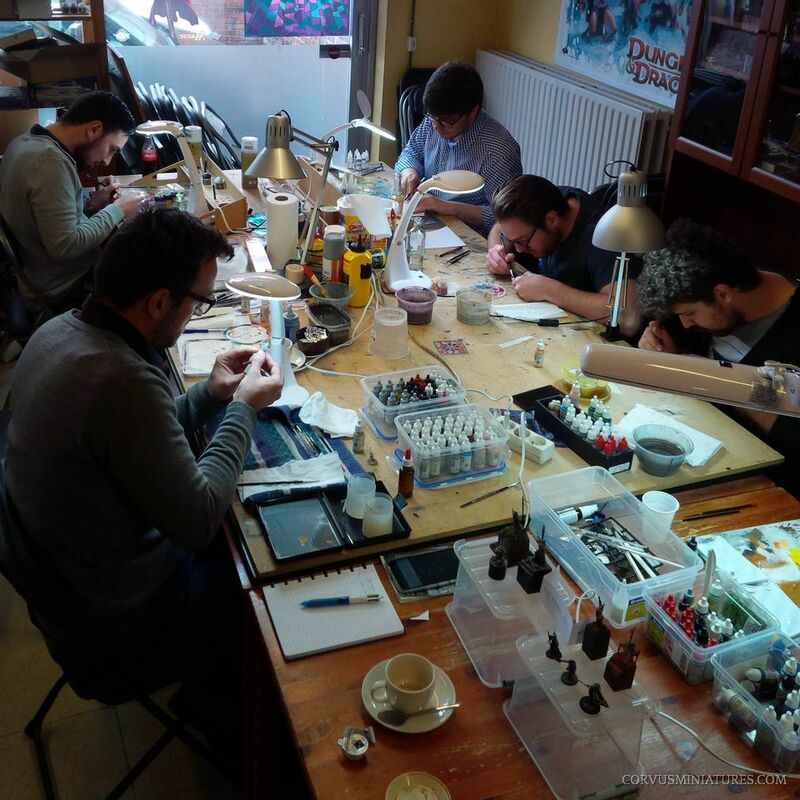 The only problem were the different skill levels of the participants, but I think that’s something which happens in most workshops. In the end I’m looking forward to doing such a thing again.